After spending weeks with this slim book, I’m afraid I don’t know quite what to make of it. Some years ago, Jörg Friedrichs, a professor of politics at the University of Oxford with interests ranging from political sociology to international relations, arrived at a conceptually fascinating project, leading to Hindu-Muslim Relations: What Europe Might Learn From India. His ultimate goal is to understand how European democracies can integrate their increasing Muslim populations into the social and political mainstream. He feels that the study of India’s democracy will yield answers. How India has managed this integration despite the country’s great Hindu majority; its ability to assimilate, despite bouts of communitarian violence (riots) and individualized violence (the lynchings of recent years), in what he believes is a fairly inclusive way, the long presence of Muslims. 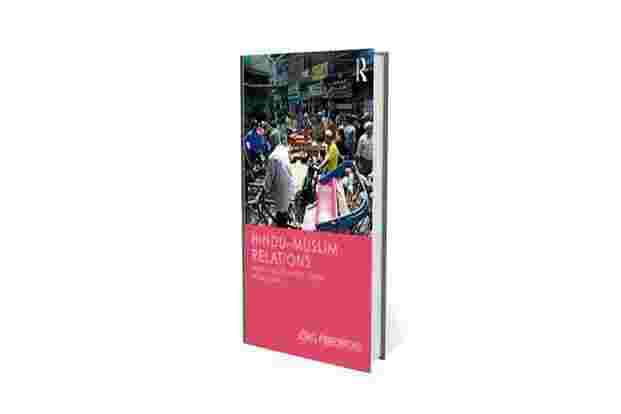 Friedrichs goes about this by imagining Hindu-Muslim relations as a “social drama", an interaction of various political actors, playing different, emblematic roles, and viewing the same set of relations between these political communities from divergent perspectives. He interviews a number of representative figures across the Indian political spectrum: communalists, secularists, community brokers, identity entrepreneurs and Muslim leaders who hope to benefit from submission to Hindu supremacy, whom he calls “Muslim dhimmis" (possibly without realizing how that medieval-era status of citizenship has become a key plank of contemporary Hindutva anger-mongering). He interrogates a range of people, from cabinet members of the Bharatiya Janata Party (BJP) to MP Asaduddin Owaisi, Congress party’s Mani Shankar Aiyar to activist Harsh Mander to lesser-known figures from the RSS like Indresh Kumar and Shridhar Damle. These interviews, and the framework of a social drama, and his insightful reading of key texts on communalism in India, allow him to build a somewhat convincing snapshot of Indian politics. It is an interesting approach. By creating this categorization of actors he is able to illustrate, via their different purposes in the movement/drama, how each works for the larger cause: how, for instance, the identity broker stokes communal feeling versus the gentleman-communalist’s ability to do so. This allows him to challenge the intellectual ballast of both the BJP/RSS right-wing and centrist-secularist Congress vision. He writes that Hindu nationalism is not as much about Othering the Other as it is about Selfing the Self—the actual project is the creation of a political community of Hindus. He finds that Hindu nationalists suffer from a sequence of Narcissism-Frustration-Regression, calling this the NFR Nexus. Take the claim heard widely in India that Hindus are uniquely peaceful, tolerant and respectful of other cultures (as far as I’m aware, first identified as a key force in shaping the Hindu political community by Peter van der Veer in Religious Nationalism, a masterful text from 1994 on India’s religious-political communities that is regrettably not part of Friedrichs’ bibliography). Such a view of India’s past elides the long history of Hindu kings and sects warring with each other, the battles between Buddhism and Hinduism, and before that Jainism and Hinduism, and even the violence inherent to caste. Friedrichs calls this the Narcissism stage of NFR. When the other religious communities of India, by dint of their violent nature (Muslims) or aggressive proselytization (Christians), are not able to live up to this lofty standard, we arrive at the Frustration stage of Hindu nationalism. The third stage, Regression, is when the Hindu political community must adopt the methods of the reviled communities, simply to find equality in a nation they believe they own. By identifying this intellectual regression—literally, becoming what you imagine the Other to be—Friedrichs is able to show the hollow core of such nationalism, and its recidivist impact on the political discourse. He also shows through certain interviews that this regression is not limited to the avowed Hindu nationalists, but that it prevails, to varying degrees and in varying forms, amongst even Congress and Nehruvian stalwarts. He shows how the demands of electoral politics have weakened the intellectual foundations of the committed secularists too. To win elections they must pander to community accommodation (and not, as Hindu nationalists would have you believe, minority accommodation), thus reinforcing community divisions, whereas they dream and speak of an India where individual identity trumps community. By talking to Hindu nationalists about how to accommodate a large Muslim population, Friedrichs is telling us two things about contemporary Europe. That the nativist politicians—white nationalists, for the most—are on the ascendancy rather than wane, and that their hold on European states will increase. And, as he writes, that the European commitment to values like liberalism and democracy are not quite as entrenched as is believed. That European populations are as susceptible, when a threat to the status quo is perceived, to a politics that plays on paranoia and mistruth. Just as a long, ongoing project has convinced a great deal of Hindus that Muslims are favoured by Indian democracy, many Europeans are increasingly convinced that wooly-headed notions of liberalism and equality, by accommodating Muslim migrants, will destroy the countries and continent they once knew (or imagined). So far so good, then? Not quite. Friedrichs is on strong ground when he does not seek to extend too far his undoubted analytical abilities. This book is less successful in its central ambition: to draw lessons from the Indian experience that would be useful to policymakers and politicians of Europe. The comparitivist approach often yields extraordinary insights, but the comparison must be set up with rigour and care. The most striking thing about Friedrichs’ undertaking is the casualness of the comparison he makes. He is well aware of the differing histories of the Muslims of India and the rather more recent presence of those found in Europe today, yet he constructs his comparison as if that is hardly relevant—he seems to believe that the dominant populations in both places (Hindu; white European) face an identical problem of integrating this recalcitrant mass. The simple fact that it is Muslim populations in crisis in both places is enough for him. It is the kind of thinking that has bedeviled some European politicians and commentators and bolstered their opponents for decades now. Even within Europe, Muslim populations are not the same. Should a French politician treat identically a Parisian of Algerian origin whose family has been there for decades, a Syrian recently pushed towards them by the American intervention in her nation’s civil war, a Muslim from Aligarh studying economics at the Sorbonne? Or does each case ask for different shades of intervention? The variant trajectories that brought them to France determine, to some extent, the degree of acceptance and favour they will find there. Friedrichs does not see it important to factor in such difference even within the European Muslim populations, let alone when comparing it to the vastly different experience of Muslims in India. By mounting such an ambitious project, he has done himself no favours. It’s a shame, because there are insights of real value in these pages.